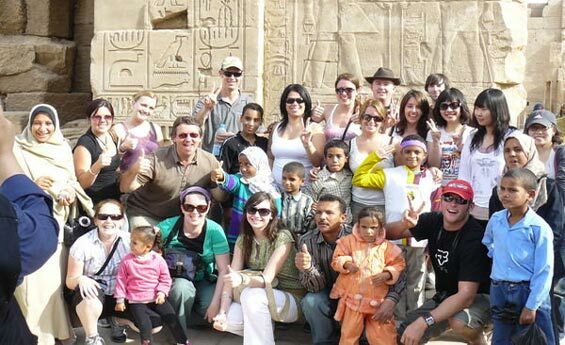 Safaga Shore Excursions give you the chance to Explore Luxor Tours with an overnight excursion visiting its famous monuments, Enjoy Tours from Safaga Port and visit Karnak, Luxor Temple, the Valley of the Kings and more tours from Safaga Port. Shaspo Tours representative will pick you from Safaga Port, drive by air-conditioned modern van to Luxor, upon arrival to Luxor start your tour to visit Karnak Temple, it is one of the greatest and largest places built in the history for the Greco Roman kingdom, it has a great hall full of amazing Pillars, then proceed to visit Luxor Temple, Enjoy lunch at local restaurant, then transfer to your hotel in Luxor, check in, optional to enjoy the sound & light show at Karnak Temple, overnight in Luxor. Breakfast at your hotel, then Shaspo Tours representative will pick you up from your hotel, enjoy an excursion to visit the West Bank of Luxor, visit Valley of the Kings including visits to 3 tombs only, next tour to the Temple of Queen Hatshepsut at El-Deir El-Bahary, Lunch at local restaurant, finally pay a visit to colossi of Memnon, at the end of your tour transfer by air-conditioned van to Safaga Port to catch your cruise ship. Assist & transfer to Safaga Port at the end of your tour.